In remote mode, the Report Viewer control requires session state be enabled or Report Server connection information specified in the config file. 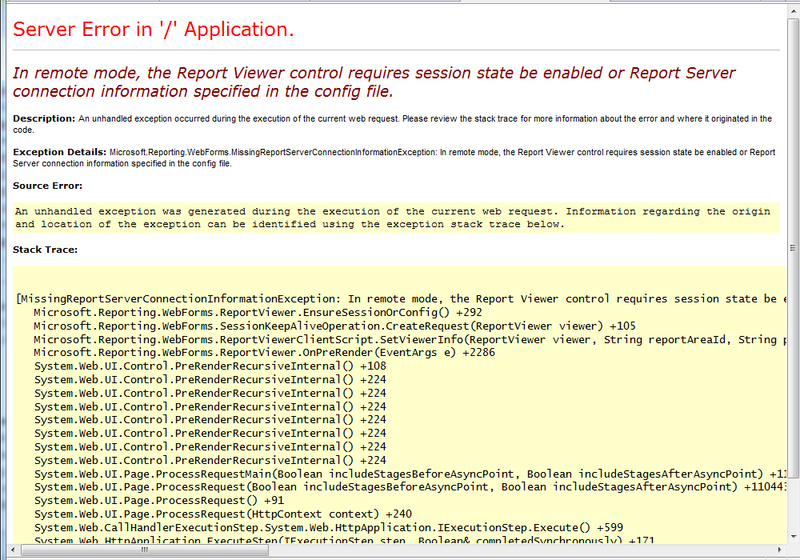 When I tried to use a Report Viewer Control within a SharePoint Visual Web Part, I got the following error ! or Report Server connection information specified in the config file. Cause: Continue reading In remote mode, the Report Viewer control requires session state be enabled or Report Server connection information specified in the config file.